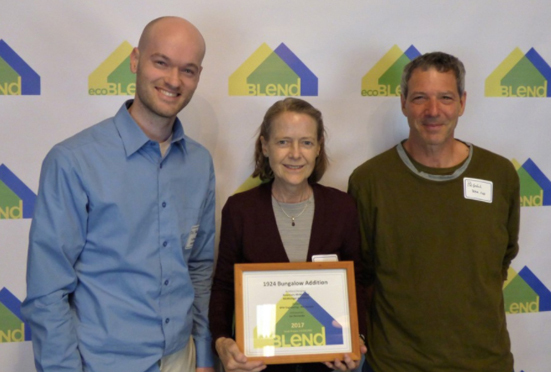 We are excited to announce that we received a BLEND Award for our 1924 Bungalow Addition! 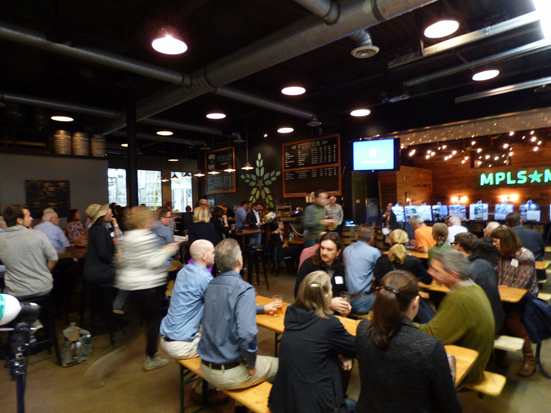 The awards ceremony was held at Fulton Brewery in Minneapolis’ North Loop on Monday Night. Since 2007, the Buildings and Landscape Enhancing Neighborhoods through Design (BLEND) awards architects, builders, designers and homeowners for their excellence in blending residential or commercial construction projects into Minneapolis neighborhoods. This small addition resulted in doubling the size of the cramped bungalow kitchen. The kitchen now ties in seamlessly with the fine craftsmanship throughout the home, while the addition’s exterior respects the scale, massing, and character of the neighborhood.